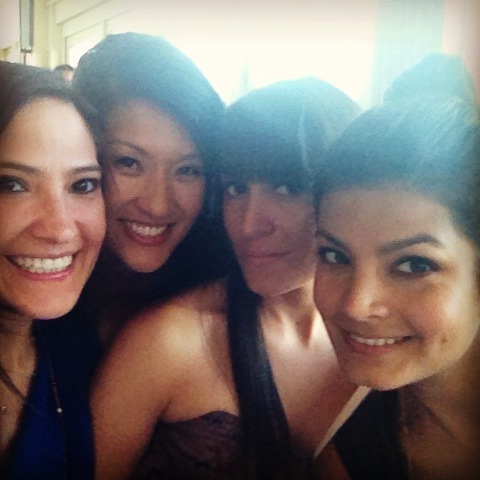 I’ve always loved my girlfriends, but when you move to LA and they’re all in NYC, you appreciate them even more. Having a great professional life is nice, but I’ve always believed that it’s your life outside of work that really matters, the relationships you keep/nurture throughout. As we get older that gets harder to do, of course. Life gets in the way. You get married. You have kids. You move away. Work consumes you. But that’s how you come to define the meaning of true friendship – it’s there, year in, year out, through every season. This was on one of those perfect fall days in NYC, celebrating the 5th year wedding anniversary of one of my girls. From left: Naomi, Paola, Sarita and me.